The English Electric Co Ltd built two hundred (200) class 40 diesel locomotives (Nos.D200 to D399) for British Railways with deliveries starting in 1958. Most were built at the Vulcan Foundry in Newton-le-Willows, Lancashire except a batch of twenty (Nos. D325D344) which were built at Robert Stephenson and Hawthorns factory in Darlington - these were built with 'split' headcode boxes. No.D322 was withdrawn in 1967 and this allowed No.D200 to be renumbered to No.40122 with all the others running in sequence from No.40001 to 40199. No.D326 became infamous in 1963 as it was the locomotive involved in 'The Great Train Robbery'. Class 40 diesel locomotive No.D308 passing the locomotive sheds at Worcester on its way back towards Birmingham with a freight train. 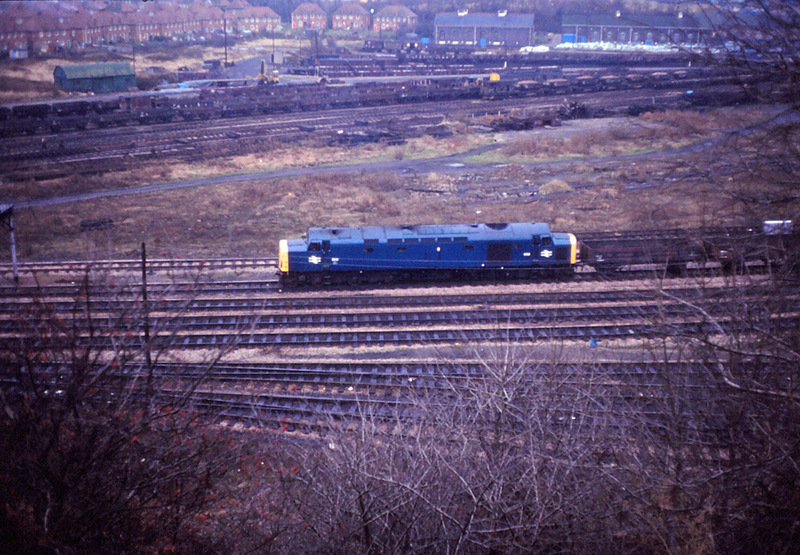 Photograph taken by Pete Wilcox on 5th December 1973. 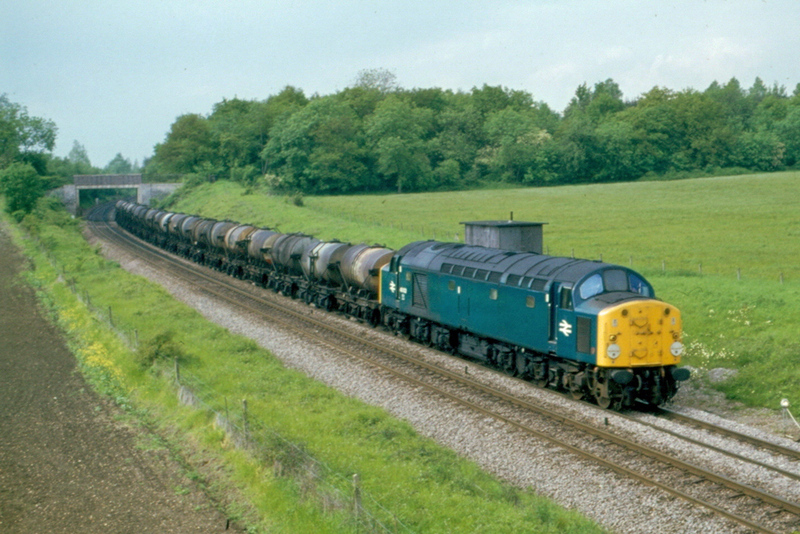 Class 40 diesel locomotive No.40032 at Croome with train of milk tanks from Carlisle to Swindon. Photograph taken by Robert Cooke on 7th June 1979. This was one of 125 locomotives of the class (Nos.D200 to D324) which were fitted with discs instead of headcode panels.